Durban – With two weeks to go to the normal entry deadline, eager social cyclists can make their mark on the 2019 edition of the popular aQuellé Tour Durban, presented by Bridge Fund Managers on Sunday 28 April, by electing a charity that they will ride on behalf of. Anyone interested needs to be able to complete the 100km ride inside three hours and five minutes, must make a R300 donation to CHOC, and can contact daisy@thecows.co.za to join this group. Entrants can nominate their chosen charity when entering online at http://www.cycleevents.co.za/road-events/aquelle-tour-durban-2019/ and normal entries close on 15 April. 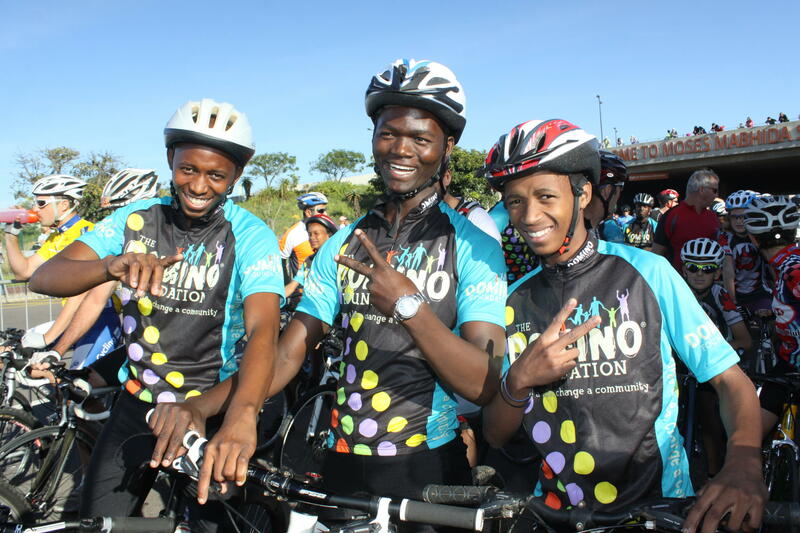 As the principle charity of the aQuellé Tour Durban, presented by Bridge Fund Managers on Sunday, 28 April, riders can enter the 45km and 100km races in the special Domino Foundation charity batch and enjoy a preferential starting batch. The Domino Foundation, through it's seven focused community transformation initiatives, directly impacts the lives of over 12 000 individuals daily. 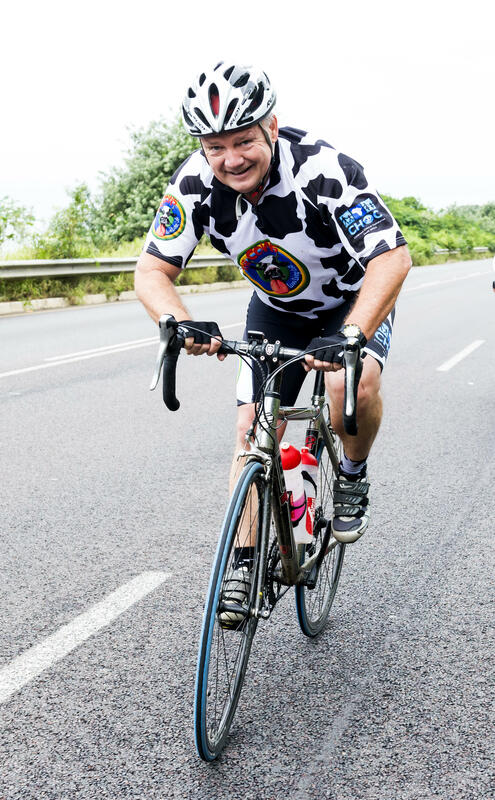 The Cows will be organising a special batch to ride the 100km race at the aQuellé Tour Durban, presented by Bridge Fund Managers, on Sunday, 28 April, after which they nwill ride the 45km slowly to help the less experienced riders. Noel Varty of the Cows in action during last year's race. 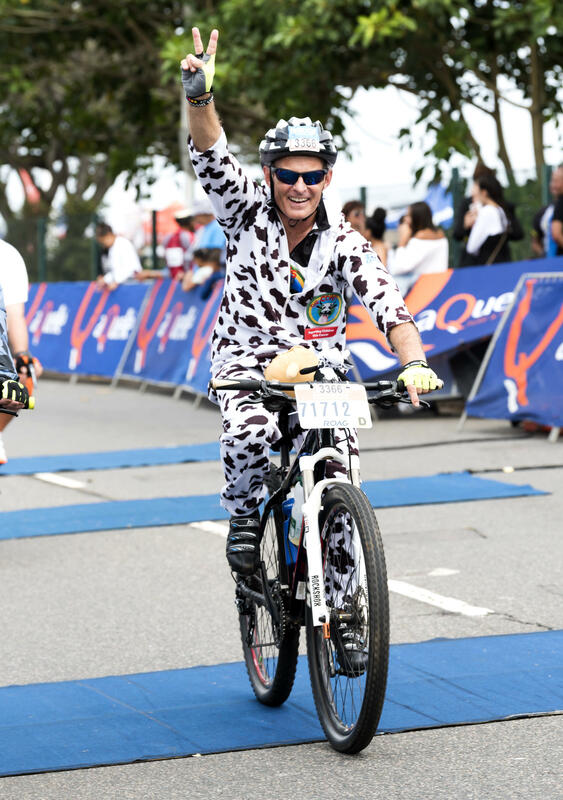 Dave Macleod finishing last year's aQuellé Tour Durban, presented by Bridge Fund Managers, in a furry Cow suit. He will be joining other social riders to ride the race for a charity on Sunday, 28 April.